We are free to visit and open 10am-4pm Monday-Saturday. 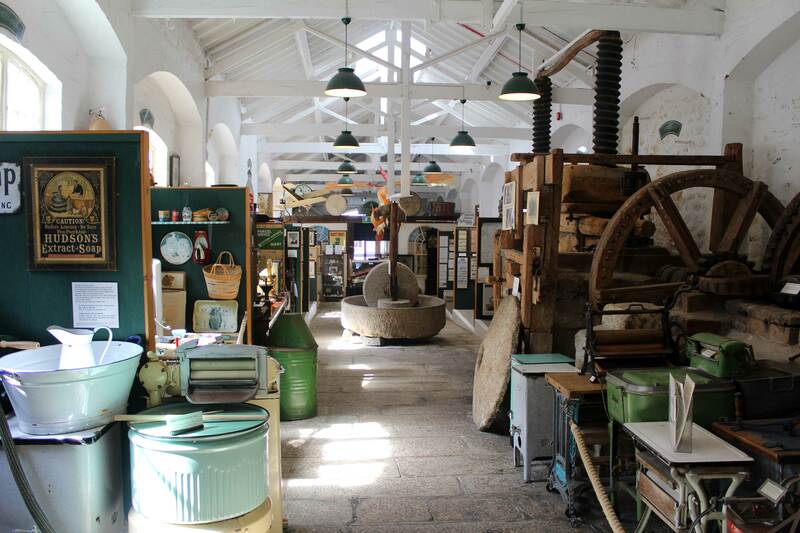 The Museum of Cornish Life is run on your donations. For opening times over holiday periods please check here or our Facebook page, or telephone us. Please note, the museum will be CLOSED on Flora Day, which USUALLY, but not always, falls on May 8th. Please check before visiting us. The museum is housed in an old market building with sloping granite floors and some uneven surfaces. However, we do have a wheelchair friendly entrance to the right of the building and lift access to all floors, we are also happy to answer any accessibility queries you may have. The nearest Pay and display car park is on Wendron Street, TR13 8PS. Turn right out of the car park and walk down to the junction, turn right again by the granite bench and look for the cannon at the bottom of the steps. There are three 30 minute parking spots outside the museum for dropping off and picking up. We can offer a full guided tour of the museum – approximately 1 hour – at a cost of £30. Please call the museum to pre-book. Maximum group size for the tour is 25. If you wish to research our collections, please contact us – we can arrange for items to be brought out from storage. We have loan boxes with objects from our handling collection available for loan from the museum for a small charge of £10 per week. These are ideal for reminiscence sessions, community events and schools. We have a wide range of workshops availible for School visit’s covering a range of different subjects from Archaeology to Victorian Schoolroom experience. Check our our Learning Page for more information. During seasonal holiday we have children’s activities like trails and quizzes, check out our Facebook page to see whats going on.